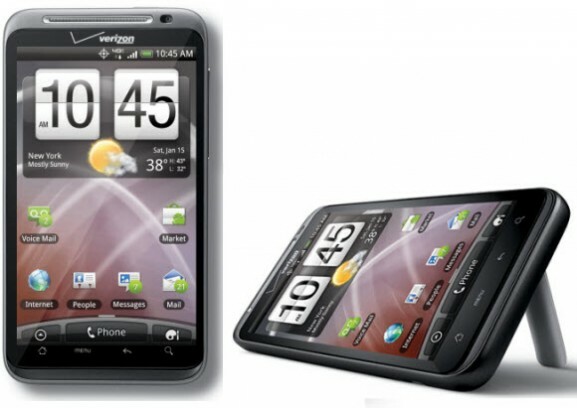 Verizon‘s HTC Thunderbolt has been under a great number of rumors, when it comes to price and availability. Even though not officially released, the Android powered handset is available only via Best Buy listed in the 4G smartphone category for $299.99 with a new two-year contract or $749.99 unlocked. Earlier tagged to retail for $249.99, the device registered an increase in price for unknown reasons. Reports suggests that the HTC Thunderbolt is expected to be available for purchase on March 10, with Best Buy already accepting pre-orders. Those customers interested in pre-ordering the Thunderbolt can pre-order the handset with a $50 deposit at your nearest Best Buy store. The national carrier, Verizon Wireless, has delayed the launch of Thunderbolt due to some Skype related issues. However this issue has also been resolved with the carrier completely removing Skype from the Android phone. More rumors have emerged that the HTC Thunderbolt will be launched along with Samsung’s 4G LTE smartphone.